Before starting a business, the investors must decide what kind of company they can establish in Slovenia. There are five major types of companies an entrepreneur may incorporate in Slovenia: the limited liability companies, joint stock companies, general partnerships, limited partnerships and limited partnerships by shares. 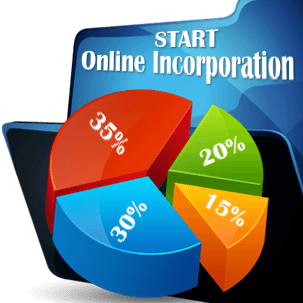 Our experts in company registration in Slovenia are prepared to help you form any type of company in the country. Foreign businessmen can request company formation services for any of the above mentioned business forms, but our representatives can provide information and legal representation for companies wishing to expand on the local market through a subsidiary or a branch office, two suitable options for this particular situation. What are the basic characteristics of the Slovenian company types? • the sole trader can be registered in Slovenia only by a natural person and it may be formed, as its name suggests, by a single founder. The limited liability company - “družba z omejeno odgovornostjo”, is a company based on shares, with a maximum number of 50 shareholders. The shareholders’ personal goods are not claimed if the company cannot pay its debts. A minimum share capital of EUR 7,500 is required for starting this type of business. • it is also imposed to register a suitable corporate trading name, establish an official business address and to select the company's objects of activity. The joint stock company in Slovenia - “delniška družba”, is a company based on a higher share capital (EUR 25,000) divided into shares. The management of a joint stock company may be assured by a board of directors or by the management boards and a supervisory board. • this legal entity has to be registered with the Agency of the Republic of Slovenia for Public Legal Records and Related Services (AJPES). A company ceases to exist if the term from the statute has expired, if the management board didn’t take any decision for more than a year, in case of bankruptcy, reduction of the share capital, transformation in another type of company or through a shareholders’ decision. Our company formation experts in Slovenia are also experienced in company liquidation matters and can help investors in this regard. The Slovenian general partnership - družba z neomejeno odgovornostjo, is established by at least two partners, fully liable for the company’s debts (even with their personal goods). The name of the partnership must contain the name of a partner (or both) and the abbreviation d.n.o. A minimum share capital is not required, unlike the above mentioned types of companies. A partnership agreement may be signed between the partners. The partners have equal management power and equal liabilities, unless it’s stipulated differently in the agreement. • the procedure of company formation in Slovenia for a limited partnership is given by the Companies Act, Articles 135-151. The limited partnership by shares in Slovenia - “komanditna delniška družba” is a partnership based on at least five partners with voting rights according to their contribution to the capital. 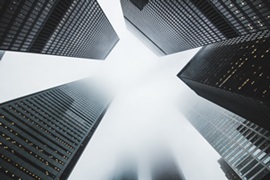 The general partners cannot take certain decisions during the shareholders’ meeting, such as: investing the auditors, investing new supervisory board members or recalling general partners. • the branch office can be registered through a public notary in Slovenia. 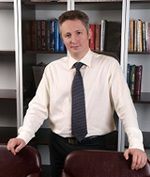 Our team can also provide an in-depth presentation on the tax and accounting principles applicable to a local branch office; for example, investors should know that this business structure needs to file annual reports with the Slovenian authorities, which can be represented by the annual reports of the parent company, as long as the parent company is registered in one of the member states of the European Union (EU). A sole trader is a way of establishing a business by a single entrepreneur. No minimum share capital is required and the investor is liable even with his own personal assets to the company’s debts. This represents the simplest way of starting a business activity in Slovenia; although the founder is personally liable for the debts of the company and there is no legal distinction between the founder the business, the company benefits from very simple accounting and registration requirements. If you still haven't decided which company type to choose, we would like to advise you in this matter and in all the aspects related to company registration in Slovenia. Feel free to contact our team of company incorporation experts for a personalized offer and further consultancy services regarding the legal entities presented in this article.